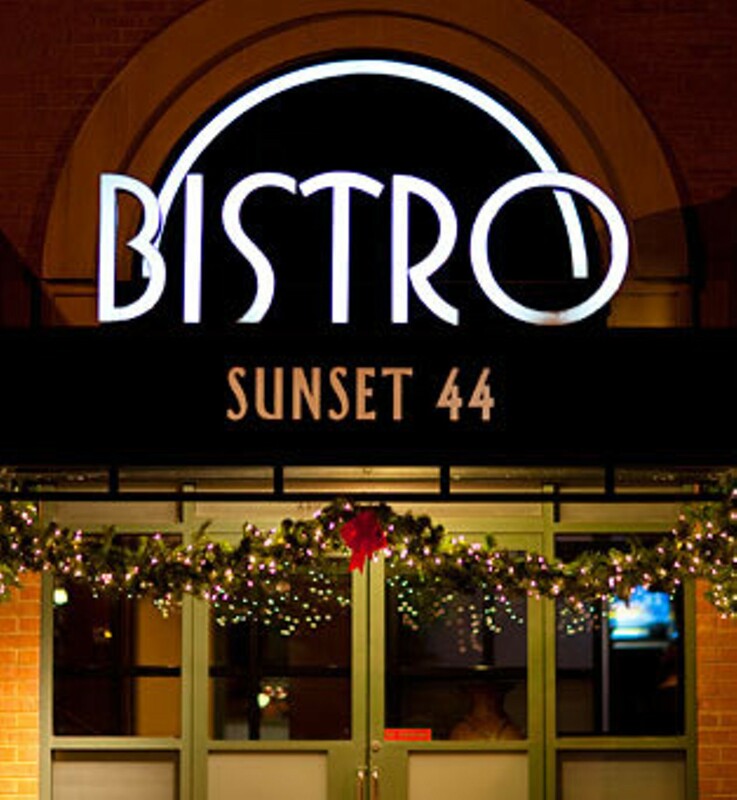 Located in the heart of Kirkwood at West Adams Avenue and Kirkwood Road, Sunset 44 Bistro offers upscale, casual dining with a focus on globally influenced American cuisine and an extensive wine list. The lunch menu features small bites, salads and sandwiches, including a Buffalo chicken melt and a steak sandwich covered with caramelized onions and horseradish cream. The fuller dinner menu offers hearty, creative entrées, such as an Avila stew with scallops, salmon, lobster and noodles in a saffron-and-tomato broth, and an Angus beef tenderloin medallion served with a red-wine reduction sauce, risotto cake and fresh vegetable. Desserts include crème brûlée, bananas Foster pound cake and a rich, layered chocolate mousse napoleon. 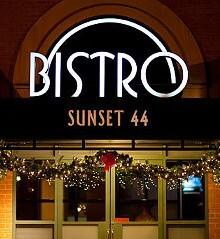 Sunset 44 Bistro also offers happy-hour food-and-drink specials and is available for large parties.